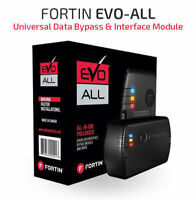 Fortin EVO-ONE All-In-One Remote Start, Security & Data Interface for your Car! Fortin has made overriding exiting security on your vehicle easy. For secure remote starting and data interface, the all-in-one remote start Evo-one is a simple solution. By breaking down complex factory pre-sets, it helps vehicle owners bypass settings for auto remote starts. The Evo-one works with almost all auto manufacturer default factory settings. Includes one control module, a general purpose harness, a high power harness, and more to create an all-in-one remote starter. I needed a remote start system that would work with the existing OEM alarm system so I looked into the EVO One. It was an excellent choice. There are so many features that you can program into it. It covers almost every possible scenario and setup. It took me about an hour to install and it works as described. Simple yet effective. I highly recommend this to anyone that is looking for a remote start as an add-on or stand alone. The plug and play harness is simple. In all I only needed to connect 6 wires plus the plug in harness. That was it. Love it! I highly recommend this to everyone! I had a friend who is a mechanic install this on my ‘18 Tundra. We had some challenges, but with help from the seller and manufacturer, we got it working (had a door lock/unlock issue). The wiring is tricky, best to have it professionally installed, unless you are used to doing this type of work. All working perfectly now. Very nice to get into a warm truck after a morning of ice fishing! The MAZ3 T- harness makes the install much easier than a typical cut and splice install, but I recommend you still cut and splice the "optional" parking light feedback. When the vehicle is fairly far away, it helps seeing the parking lights on during remote start. That said, the splicing into the turn signal switch is a little confusing. The directions show you where it is, but don't mention that the entire switch pulls straight out. It was a bit nerve racking pulling this out, because I wasn't sure if it was somehow locked in with a hidden tab. But after I pulled hard, the entire switch comes out, to get to the wires in the back of the switch inside a compartment that faces the dash. It really can't be spliced without having the switch out. But after the installation, it works GREAT for a Mazda CX-3! Took about two hours, the instructions were clear and easy to understand. Works great. Highly recommend if it is available for your model. I purchased the two way RF remotes as well and they were easy to program. 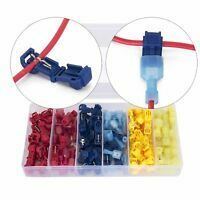 The T harness also makes installation easy and less “permanent” as you don’t have to cut/tap into the heavy gauge ignition wires. I have practically zero experience working on cars but this product paired with their excellent instructions made it super easy. just follow the simple image diagram and it was done in less than 2 hours. no need to cut wires at all.